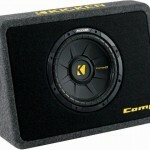 If someone told you that you could get high quality bass sound with a tiny compact fueled sub, don’t look unconvinced. 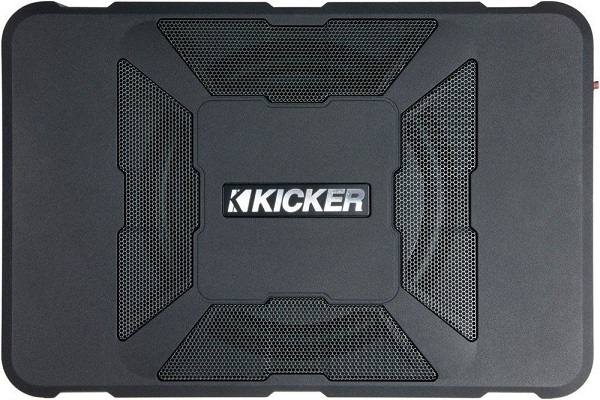 Kicker has made it possible through Hideaway™ and you could mount it anywhere. 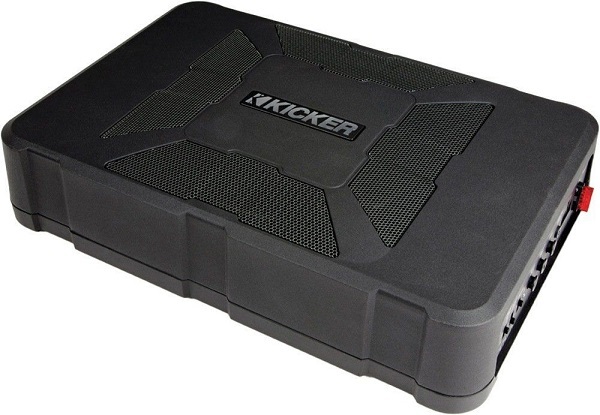 Kicker Hideaway™ is just 3″ tall and you could mount in anywhere and in storage areas. The formidable, in-built 150-watt RMS amplifier offers strong bass that will add gravity and thump to your favorite tracks. The 8″ woofer can hit low notes that will certainly rock your journey, exclusively when the Hideaway™ is installed in the automobile’s interior. 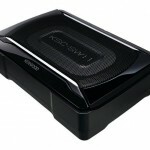 The built-in remote control bass knob will enable users to fine-tune the bass level. Kicker also integrated Nylon straps with Velcro® fasteners to mount the sub. A swift disconnect harness with power and signal wiring will make the installation process effortless. 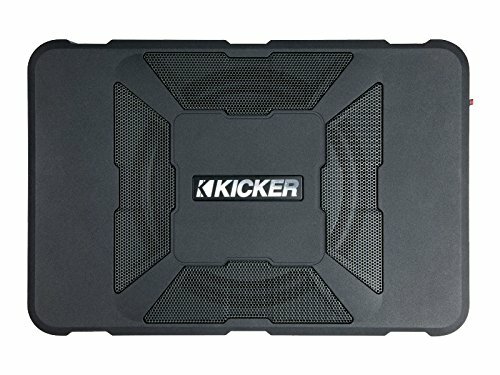 The KICKER Hideaway Compact Powered Subwoofer delivers surprising low frequency output from a remarkably small enclosure, setting a new standard in plug-and-play bass performance and convenience in a vehicle. At just over three inches high and nearly 14 inches long, the Hideaway combines a 150-watt amplifier and an 8-inch subwoofer to add thumping bass to any vehicle from the tightest locations. It also provides a quick-connect power plug and Velcro-fastened nylon straps for secure installation and simple but fast removal.The quick-connect Molex plug and harness entails power, signal and remote turn-on. The Hideaway comes with a remote bass control for fine-tuning bass levels, adjustable low-pass crossover, variable +6dB bass boost, phase-cancelling switch for max output and two automatic turn-on options. It also features high- and low-level inputs for integration with nearly any factory or aftermarket head unit. At just over three inches high and nearly 14 inches long, the Hideaway combines a 150-watt amplifier and an 8-inch subwoofer to add thumping bass to any vehicle from the tightest locations.